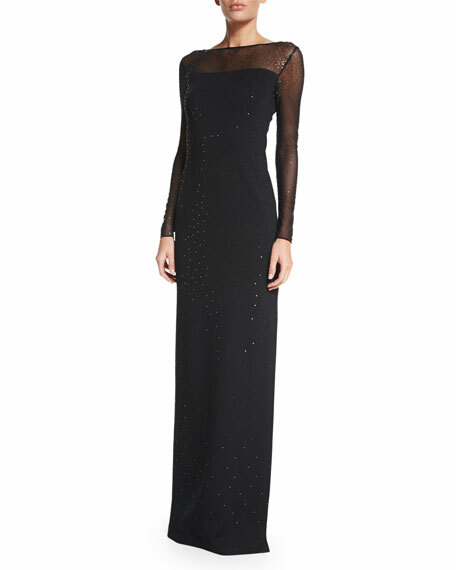 St. John Collection shimmery Milano knit gown with sheer mesh yoke and sleeves. Approx. length: 61"L from back shoulder to hem. Straight hem; left side slit, 24.5"L.
Rayon/wool/polyester; yoke and sleeves, nylon/spandex. For in-store inquiries, use sku #1658537.